(l to r) Paul Loper, Hannah Donovan, Madeline H.D. 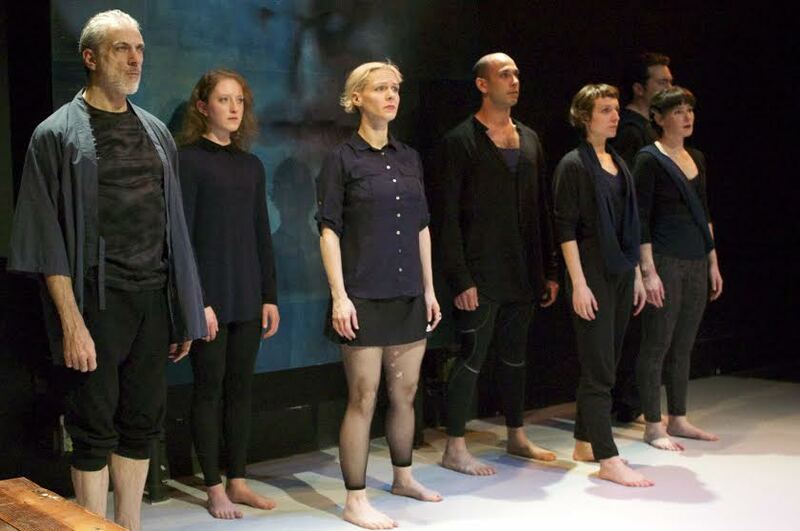 Brown, Wiley Naman Strasser, Emma Crane Jaster, Elissa Beth Stebbins, and Tim Green in Cutting Ball’s “Antigone”. Photo Credit: Chase Ramsey. 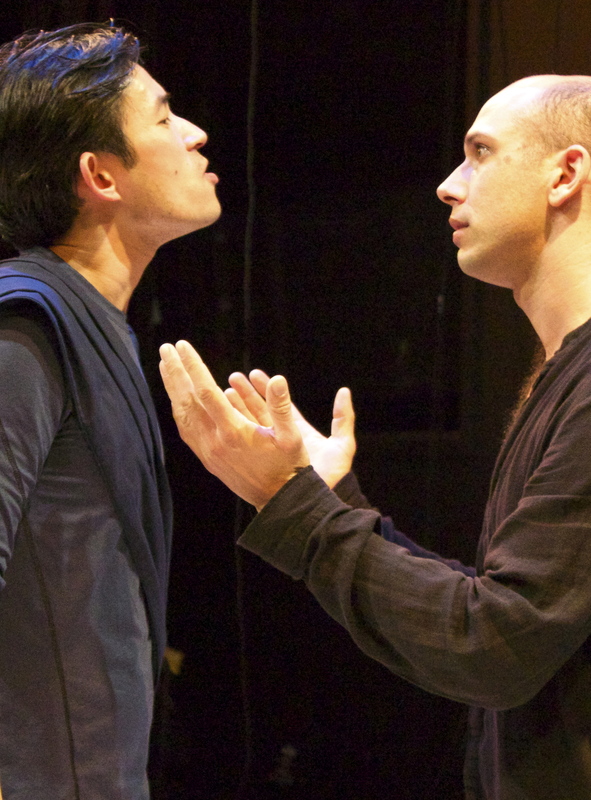 Kreon (Jason W. Wong, l) and son Haemon (Wiley Naman Strasser, r) argue over the fate of Antigone. Photo Credit: Chase Ramsey. Posted in Reviews.Tagged Aleksandra Koecka, Antigone, Cliff Caruthers, Cutting Ball Theater, Daniel Sullivan, Emma Crane Jaster, Hanna Donovan, Heather Basarab, Jason W. Wong, Jerzy Grotowski, Madeline H. D. Brown, Michael Locher, Paige Rogers, Paul Loper, Teatr Zar, Tim Green, Tomasz Wierzbowski, Wiley Naman Strasser.